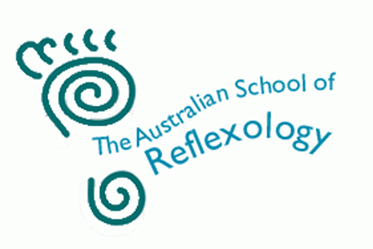 A two day practical workshop in which you will learn the reflexology sequence as used in China and many parts of Asia. Fast, efficient and effective with a flowing motion. Use of creams and knuckle-work – respite for the thumbs. Pressure can be varied, but firmer pressure can be applied for those who need it. Allows your practice to grow with minimum physical impact to you. Clients love it. They comment that they can feel immediate effects. In Singapore and many parts of Asia, reflexology clinics are commonplace and business people queue to have their daily session in their breaks and reflexology is used as a tune-up and not as a relaxation therapy. Many tourists and other visitors to Asia have experienced this form of reflexology, especially flight personnel and people who are there regularly for business. The frequent enquiries show that there is a demand for this direct, less esoteric approach This course will provide you with a thorough workout which can be performed in 30 minutes. The client receives all the usual benefits of reflexology and leaves refreshed with all body systems revitalised. The Chinese sequence will be invaluable for all reflexologists who wish to work in the corporate sector, for Asian clients, for clients who need more pressure and to help you increase your practice. Many course participants have reported fantastic responses by their clients, so this has become a most popular workshop. I loved the weekend. Your whole approach and teaching style is excellent. I felt totally involved and felt confident to start as soon as possible. Many thanks, Sue. Keep teaching this wonderful work. Really enjoyable and interesting – among the best workshops I’ve been to. An excellent workshop – fantastic learning experience – so enjoyable.